This mobile human rights education centre travels across Ontario bringing Holocaust and human rights education to students of all ages, empowering them to raise their voices and take action against hate and intolerance. From big cities to small towns, the Tour for Humanity has already visited hunreds of schools throughout the province, including in the Greater Toronto Area, Ottawa, Barrie, London, Windsor, Sudbury, and much more. At the Tom & Anna Koffler Center located in the FSWC Toronto office, we welcome around 10,000 students of all ages on an annual basis for educational workshops. Our educators regularly pay visits to the schools for workshops as well. 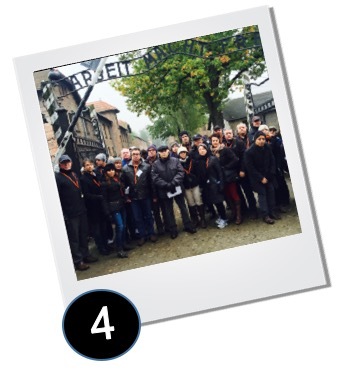 Each year, FSWC invites 20-30 influential Canadians on a remarkable educational journey to Poland and Israel to learn about the Holocaust, racism and intolerance. Over 150 police chiefs, educators, mayors, provincial and federal parliamentarians, philanthropists and thought leaders have taken this intensive journey with us. 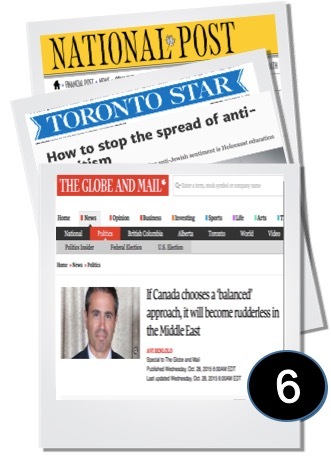 Inspiring & empowering Canadians to raise their voices for freedom, democracy & human rights. FSWC inspires and empowers Canadians to raise their voices for freedom, democracy and human rights. We have educated 100,000 Canadian students through our dynamic, award-winning Tour for Humanity mobile education classroom and our unique Holocaust and diversity training at the Tom & Anna Koffler Tolerance Training Centre. Simon Wiesenthal said, "Freedom is not a gift from heaven, we must fight for it each and every day." We carry this important message forward by motivating hundreds of students to take action and create positive change through special education events such as Freedom Day, Speakers Idol and Wiesenthal Scholarship programs. FSWC motivates educators to strengthen Holocaust workshops in the classroom as a way to counter antisemitism and all forms of hate. 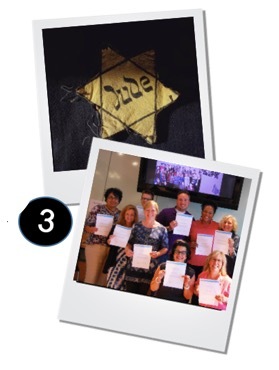 Our Holocaust Certificate Course for educators provides teachers with the history of the Holocaust along with meaningful lessons to integrate into their classroom. A number of Ontario school boards have joined FSWC's initiative to recognize International Holocaust Remembrance Day on January 27th. FSWC has also launched a new website, www.neverforgetme.ca, a collection of survivor testimonies for use in educational settings. FSWC educates major Canadian leaders with a sphere of influence annually through our Compassion to Action mission to Poland and Israel. Numerous education directors, superintendents and trustees, political leaders, Chiefs and Deputy Chiefs of Police from across the country, including leaders with the OPP and RCMP, have returned from our mission with a comprehensive understanding of the importance of Holocaust education and its continued relevance today. 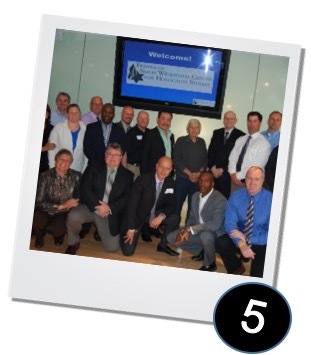 FSWC works tirelessly to counter messages of antisemitism, hatred and intolerance through specialized training programs for front-line professionals such as police, educators and politicians. Strategic dispersion of information to our intelligence sources and top lay leaders through intelligence briefs affect thousands of Canadians. Countering antisemitism and defamation of Israel, confronting the international campaign to boycott, divest and sanction (BDS) Israel and addressing issues of hate and intolerance through published articles, press releases, media alerts, online campaigns, policy development and daily news reports are some of they ways that FSWC carries out its daily advocacy work. 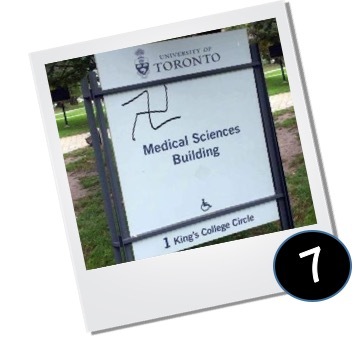 Antisemitic acts continue to dominate Statistics Canada's reported religious hate crimes. Because of this, FSWC works daily to publicly condemn these hateful acts through written and online media and to counter the messages of intolerance with advocacy and education. 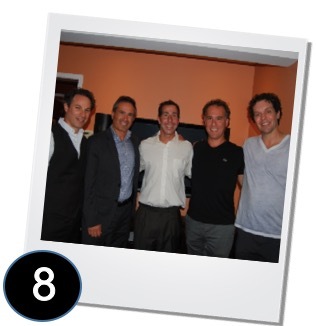 FSWC members have a number of ways in which to get involved, whether it's through a professionals group such as Lawyers4Wiesenthal, Doctors4Wiesenthal or Young Professionals; hosting a gentleman's Whisky evening or a women's parlour event; attending thought-provoking events such as State of the Union, Women of Valour or Sprit of Hope, or joining a committee to offer feedback - there are numerous ways to be a part of the FSWC family. FSWC works to build relationships with different racial, religious and cultural communities, opening dialogue, generating discussions and creating understanding in order to work towards Tikkun Olum, creating a better world. FSWC was recently recognized by the Canadian Race Relations Foundation with an Award of Excellence for the Tour for Humanity program. 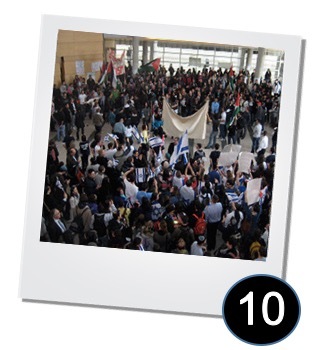 Working daily to confront antisemitism on university campuses, FSWC works to hold universities accountable for activities that are held in their facilities and demands that they identify events like Israeli Apartheid Week for what they are - acts of hatred and aggression towards Jewish students. 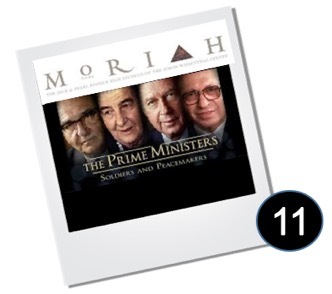 FSWC contributes to the Academy Award winning Moriah Films divisions of the Simon Wiesenthal Center, producing extraordinary documentary films that have received worldwide attention. FSWC is also a co-sponsor of the new Jerusalem Museum for Human Dignity that is currently under construction in Israel. 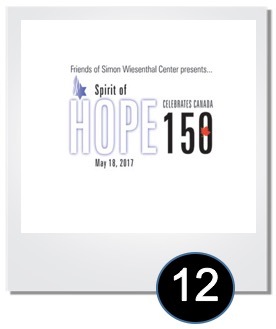 The Spirit of Hope Benefit is one of the most iconic fundraising events in the City of Toronto bringing together top business leaders, philanthropists, community and political leaders in a celebration of the rights and freedoms championed by Friends of Simon Wiesenthal Center. Past speakers have included former Prime Minister Stephen Harper; former Prime Minister Brian Mulroney; former Prime Minister of the United Kingdom, Tony Blair; President Bill Clinton; President George W. Bush; Vice President Al Gore; Secretary of State Condoleezza Rice; Australian Prime Minister John Howard; Sirs Elie Wiesel and Salmon Rushdie, and Israeli statesman and former President of Israel Shimon Peres.